Legends of the Realm is a series I have enjoyed immensely and even purchased as gifts for others. When this, the third installment was published earlier this year, I was counting down the days until I could get my own copy. And all I can say is I want more, more! I love Locke’s writing style. His depth of scene pulls the reader headlong into the book, allowing them to experience the story right next to the characters. His pacing when it comes to dialogue is also very well done, allowing for more natural-feeling conversation than I usually find in other works. 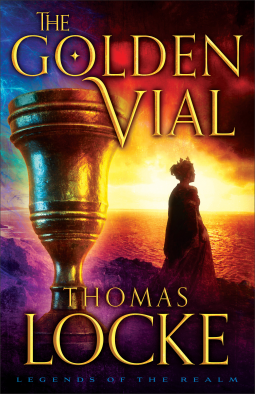 Mysteries and riddles that were introduced in the first two books are explored more in “The Golden Vial”, but there are still answers to be had, and a final victory to be won. I look forward to the next installment, whenever and however it comes!